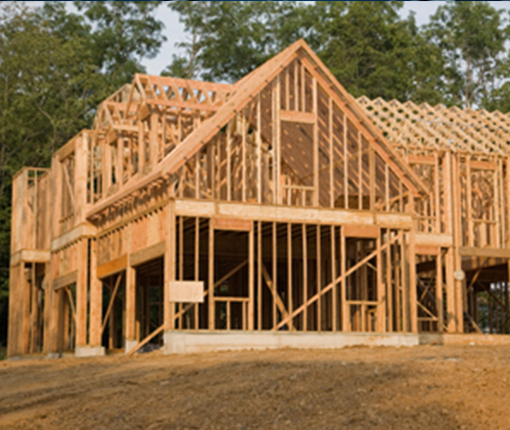 The basic structural support system for any home is its foundation. It is the the embedded interface between the home and the earth. 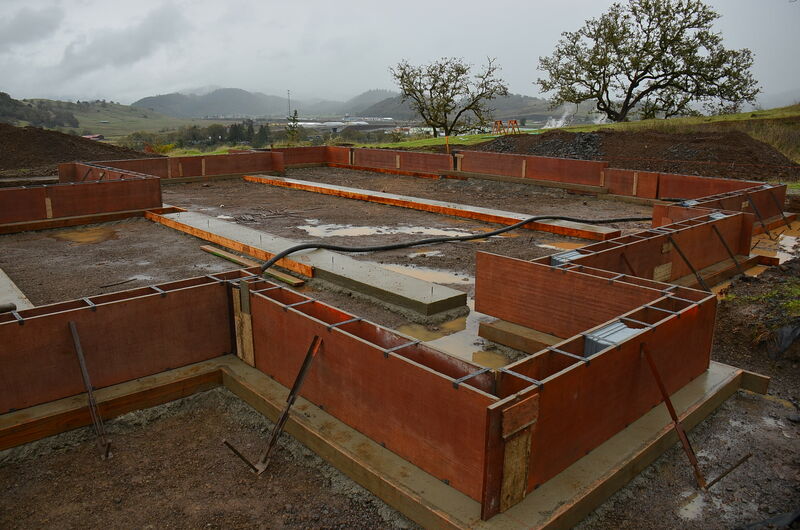 Contractors in the US, build foundations (or footings) for homes with steel reinforced concrete. There are basically two kinds of concrete footings for homes, stem-wall and slab. Modifications to these basic types are made to provide additional strength and support when needed such as drilled piers, retaining walls, post-stressed slabs, fiber reinforced cement. 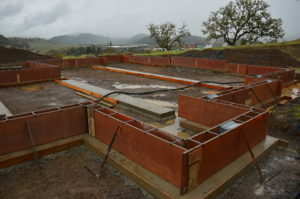 Components of a footing include drain rock, sand, waterproofing, concrete, reinforcing steel, foundation bolts, piers, retaining walls, wire mesh, drainage pipe, sump pumps and sometimes concrete masonry block. Foundations are thick and heavy. They are designed to carry the load of the home, resist movement of the soil, prevent water from entering or eroding the site, and withstand the force of blowing winds on the structure above. In order to do all this, engineers need to know about the composition of soils beneath the proposed building as well as other information such as flood zones, fire hazards, seismic fault lines, water tables, slip and slide history and weather patterns. Next time you see one, hug a structural engineer! Slab footings are flat layers of concrete with thickened edges to support the walls above. 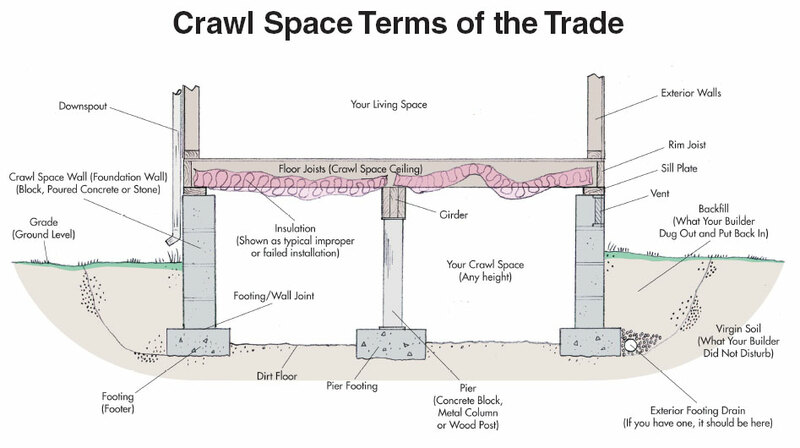 Slab foundations are built directly on the ground and there is no access to the underside. 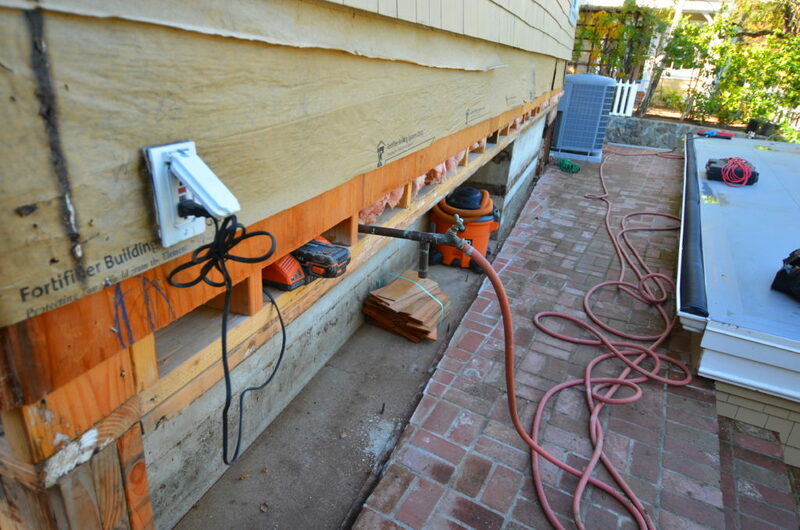 Drainage systems are an integral and necessary part of any foundation system. The purpose of the drainage system is to prevent water from eroding the foundation and the supportive earth below and thus damaging the home. It does this by collecting, intercepting and diverting water away from the structure. Try to locate the drainage system around the perimeter of your home and note where cleanouts are located and where the system “daylights” to the exterior or terminates, possibly in a “dry well” or sump pump. The U.S. Environmental Protection Agency, the U.S. Department of Health and Human Services, the U.S. Public Health Service, have expressed concern over the presence of radon gas in homes. Prolonged exposure to high levels of indoor radon or its progeny may affect the health of residents. If you are concerned about the presence of radon gas you should have your home tested by a qualified resource. 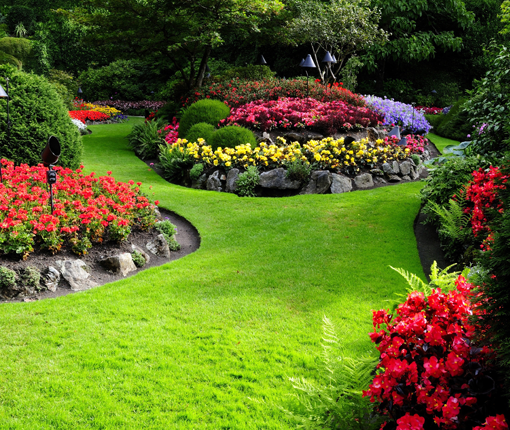 1x per year: Inspect and operate any sump pumps at least once a year. 1x per year: Inspect the perimeter of the footings and note any cracks, settling, spalling, standing water or deformation of the foundation walls.